Display sale price on the frontend for a single EDD download product. Quick edit to set a sale price of an EDD download. Ability to set sale price in bulk for EDD downloads based on defined rules. The page is accessible under EDD menu Downloads -> Bulk Sale Price. The add-on offers a new page to modify the prices of all your EDD products by applying any of the above 4 rules. 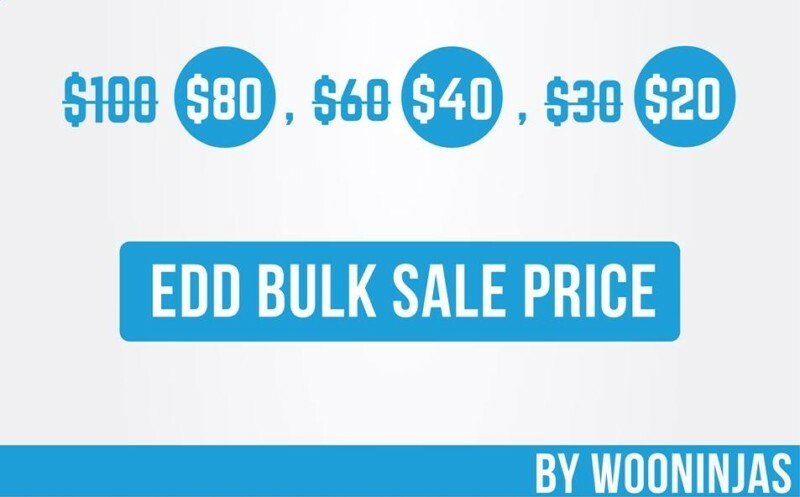 This is a powerful feature to modify the sale prices of your EDD products in bulk.